Time Walker (Spirit Bound) - Lis Les Livres- Read Books! 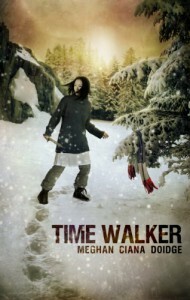 http://lisleslivres.blogspot.com/2012/12/review-time-walker-spirit-bound-1-by.htmlCharacters: The characters were my favorite part of this book. They are very likable, but I would choose Finn over Beth as my favorite. Blasphemy, you say? Well, I liked that Finn starts out elusive but warms up to Beth quickly, even making fun, flirty comments with her. Yet, he knows the appropriate time to be serious and evidently cares for his sister. Beth also shares this compassion towards her siblings and fights for them. 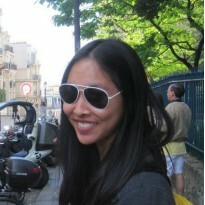 She is portrayed as the underdog, trying to battle herself. Honestly, who can root against an underdog?Ms. Doidge delineates the relationships between the siblings perfectly: We love to mess with our siblings and are competitive, but the truth in the matter is that we love them regardless because they're family.And, yes, I found myself getting angry with the author if I thought that one of the characters were seeing their last pages in the story.Plot: It started out a little slow for my tastes, but it sure did pick up! Reminding me of Looper, the basis of the plot is formidable. It's quite thought provoking. I thought,"What if I were a time walker? What if I knew I would drastically change in the future? Would I try to prevent myself from becoming that way, but would I actually make my future worse in the efforts to do so? "Writing: This book is very easy to read, flowing pretty well. I do appreciate the occasional SAT vocabulary words being thrown in :)Overall: I have to give it to Meghan Ciana Doidge, this was a pretty good book! I'm very skeptical of books that aren't published by the renowned publishing houses even though there have been some terrible works that have been published by them. I'm definitely going to have to try some more independents. I love indie movies, so why not try indie books (Is that the proper term? :)). *Additional info: The price of Spirit Binder will be lowered to $.99 the week following the 12-7-12 release of Time Walker.Buy the BookI have Spirit Binder ready to be read. However, I just don't know when I will be ready to read it.This was the first time we were requested to do a review, and it was such a lovely experience! It was fun to be like an editor for a little while. Thanks and best wishes, Meghan.